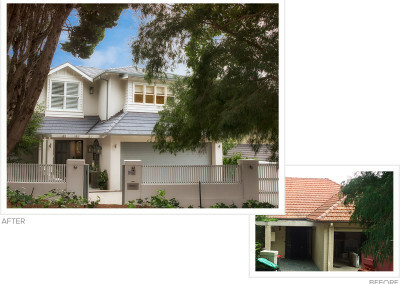 We have extensive experience designing and building extensions for clients in Sydney’s premier suburbs, including dealing with the unique access requirements often involved in waterside homes and steep blocks. This gallery showcases a small selection of completed projects from clients who sought a scale, design, and finish befitting the area and retaining some of the character of the original home. Projects displayed here are in the $750k+ range. Click on each tile to see a Project Showcase, including the client’s brief, before and after photos, testimonial, and a gallery of other images.